UPCOMING EVENT: Jeremy Irons is expected to attend the BCN Film Festival – Barcelona / Sant Jordi, in Spain, which runs from 22-30 April 2019. 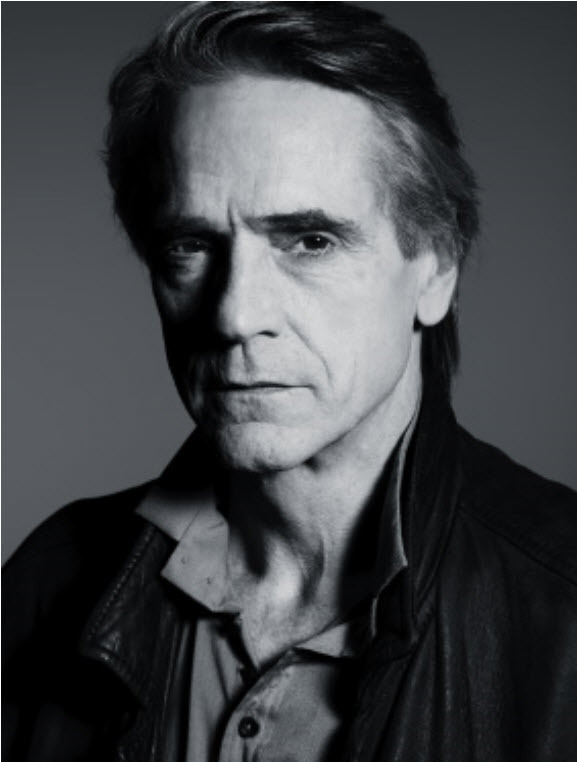 Jeremy Irons will receive the RNE Sant Jordi Award for Cinema on April 29 at the CaixaForum in Barcelona. 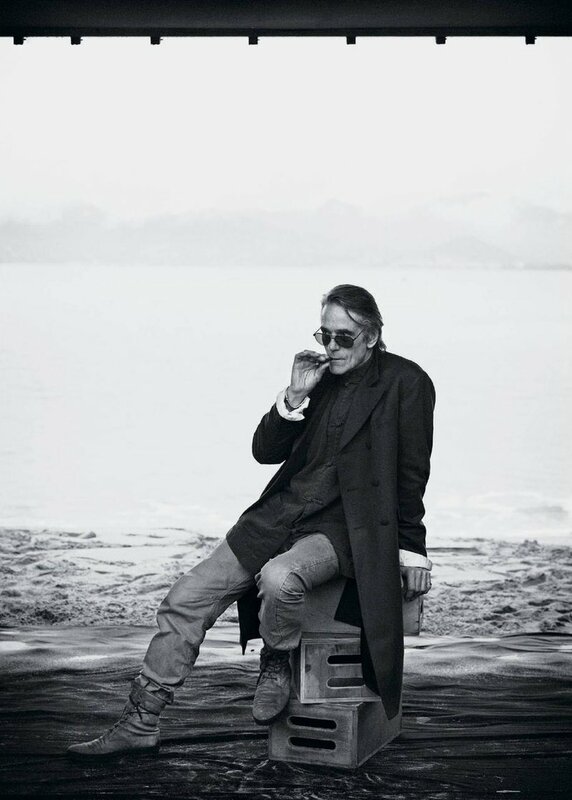 Jeremy Irons Interviewed for Introspective Magazine at 1stdibs.com – with new photos from Simon Upton’s Vanity Fair shoot at Kilcoe Castle. 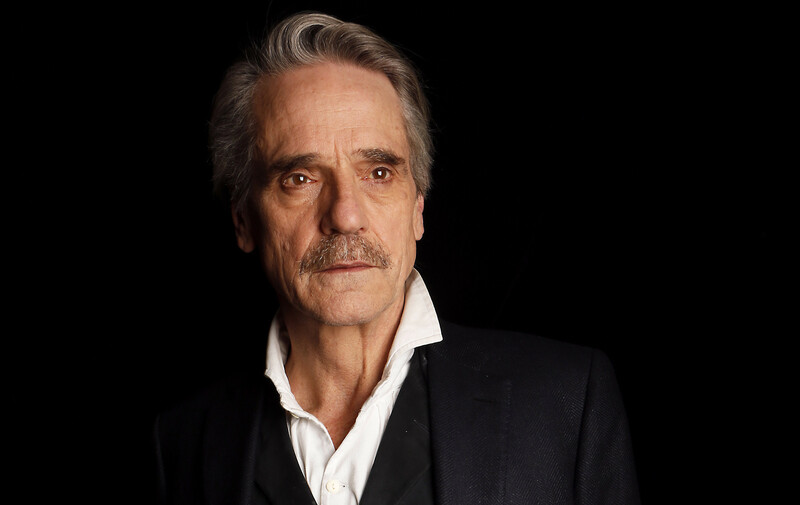 AUDIO – Jeremy Irons and the cast of Long Day’s Journey Into Night on the Curtain Call podcast. PHOTOS – Jeremy Irons is featured in the March 2018 issue of British GQ magazine. 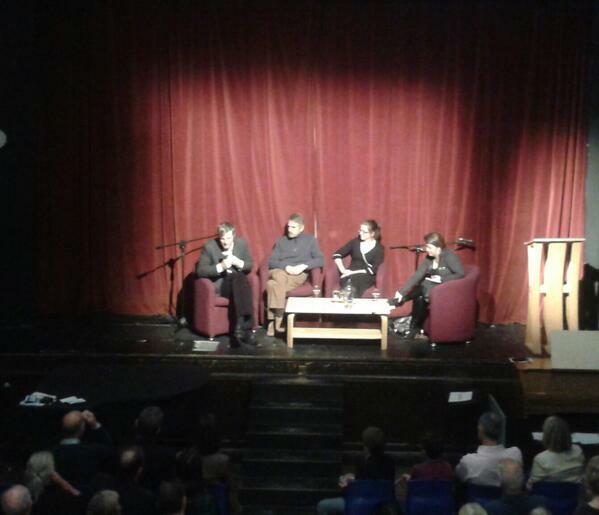 AUDIO and PHOTOS – Jeremy Irons on Gardeners’ Question Time on BBC Radio 4. Jeremy Irons is featured in the June 2017 issue of Somerset Life magazine. AUDIO – Jeremy Irons’s episode of The Nerdist podcast is now available! The Man Who Knew Infinity at The White House. Click HERE for the recording of the live stream. Jeremy Irons Opens West Cork Garden Trail’s 2016 Season – Photo gallery, VIDEO from the Irish Examiner and AUDIO from Cork103’s Cork Today Radio Show. VIDEO – The full 2015 Associated Studios Christmas Concert, featuring Jeremy Irons reading “Letter 1” from Letters to a Young Poet by Rainer Maria Rilke, has just been added. CLICK HERE FOR THE VIDEO. Jeremy Irons read TS Eliot’s Old Possum’s Book Of Practical Cats poems on BBC Radio 4 on Christmas Day. Jeremy Irons was at the Charlie Chaplin Comedy Film Festival in Waterville, Co. Kerry, on Friday 21 August, for a screening of his film Trashed at the Tech Amergin Arts & Education Centre. Photo via @YMCAIreland on Twitter. Jeremy was a guest on the radio programme “A la bonne heure!” Here’s the link to the podcast. NEW PHOTOS ! – Jeremy Irons at the 2015 Baltimore Fiddle Fair – Thanks to Bob Singer for the photos. 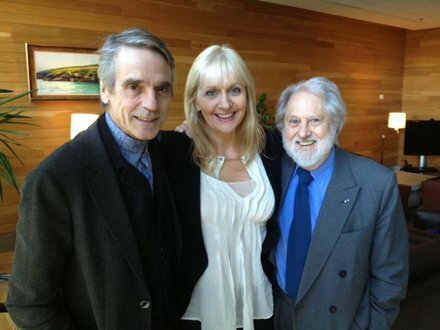 Listen back to Jeremy Irons on RTE Radio One with Sean O’Rourke from Monday 23 February. Jeremy Irons in Vanity Fair short film directed by Jason Bell – Video, Screencaps, Behind the Scenes Video and photos from the magazine. Jeremy Irons at the AARP Movies for Grownups Awards Gala – Photo Gallery and link to video. 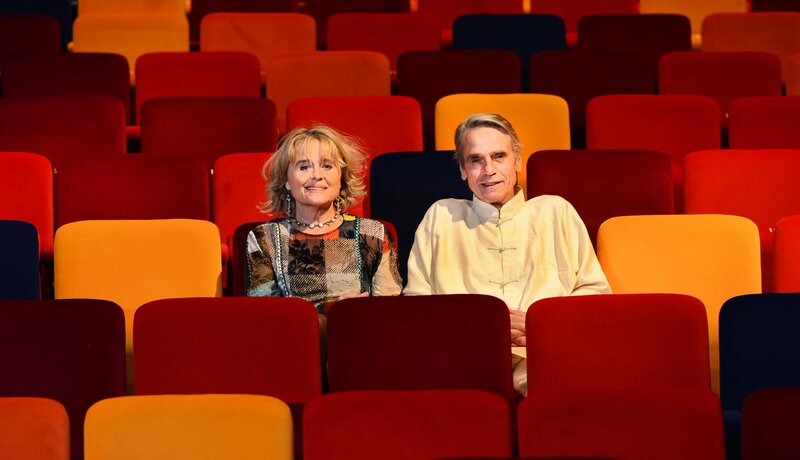 Marrakech Film Festival Tribute to Jeremy Irons – Photos, videos & interviews. New interviews from Variety and Indiewire added 12 December. Jeremy Irons at the 2014 Blue Ocean Film Festival – Photo gallery and full video of post-screening panel discussion. The full-length interviews from the film will eventually be uploaded HERE. Doing Math with Movie Stars – Blog post and PHOTOS OF JEREMY from Emory University’s eScienceCommons with Behind the Scenes details and photos from the set of The Man Who Knew Infinity. 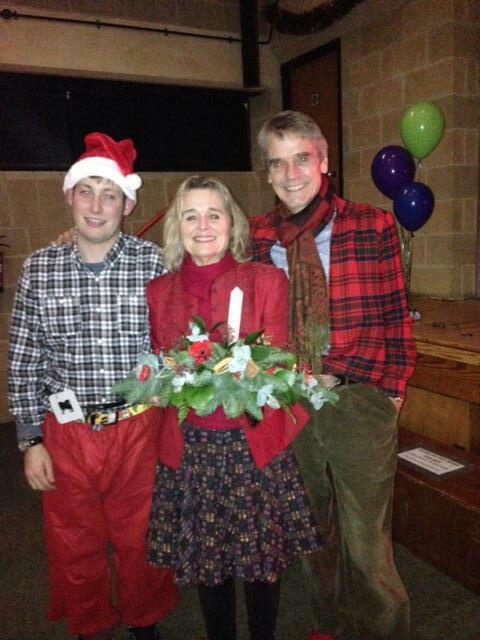 Jeremy Irons and Sinead Cusack visited the St. Connell’s Museum in Glenties, Co. Donegal, Ireland. Glenties is linked with playwright Brian Friel, whose play (and subsequent film), Dancing at Lughnasa, is set in the town. Listen to Jeremy Irons and Michael Brearly discuss several themes around the film Henry IV: Part II, at the Institute for Psychoanalysis in London, on 6 April 2014. Jeremy Irons at The Irish Film and Television Awards in Dublin. Dame Helen Mirren, winner of the Fellowship award, and actor Jeremy Irons pose in the winners room at the EE British Academy Film Awards 2014 at The Royal Opera House on February 16, 2014 in London, England. Photo via @entertainmentweekly on Instagram Fellows Lunch for Dame Helen Mirren, held at The Savoy on Saturday 15 February. Mirren will receive the Fellowship at the EE British Academy Film Awards at the Royal Opera House on Sunday 16 February. 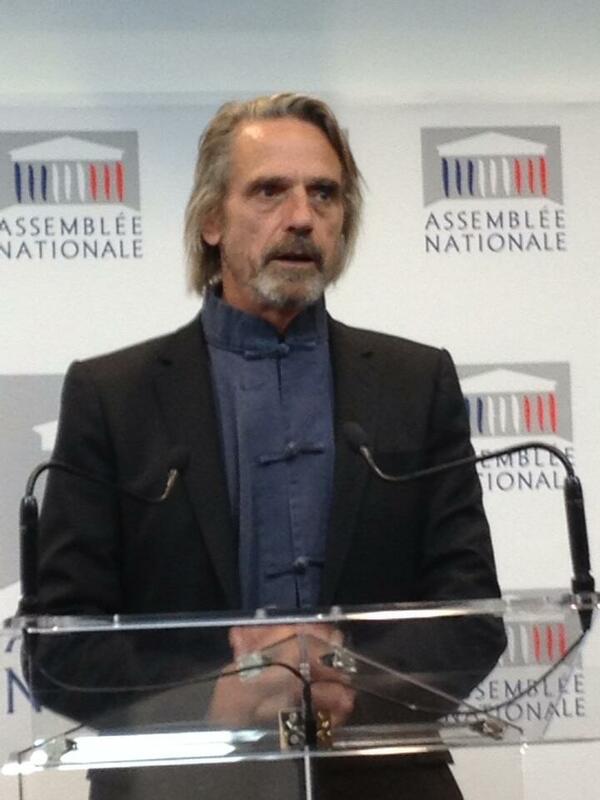 Jeremy Irons in Athens, Greece for Holocaust Remembrance Day – 27 January 2014. Jeremy Irons at the Screen Actors Guild Awards in Los Angeles on Saturday 18 January. 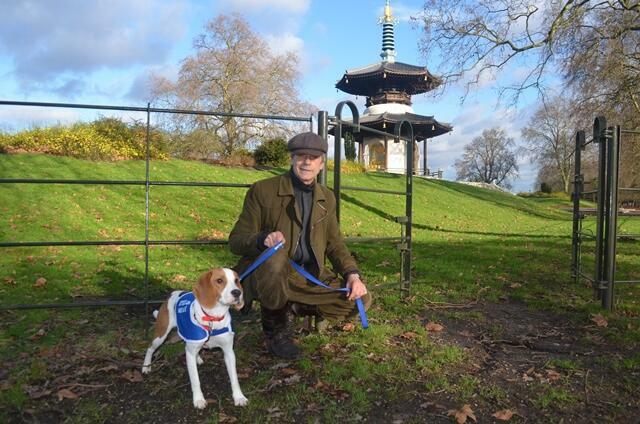 Jeremy Irons and Jessie the Beagle, on a dog walk following the fundraising eBay auction for the Battersea Dogs and Cats Home. POST UPDATED WITH NEW PHOTO GALLERY – Jeremy Irons at the Christmas Carol Concert at St. Paul’s Church Covent Garden, London – Complete audio and text of Jeremy reading from Christmas in the Trenches by Aaron Shepherd. 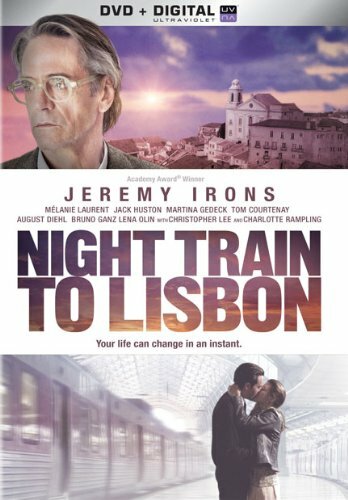 Night Train to Lisbon opened in cinemas in select cities in Canada and the U.S. on Friday 6 December 2013. Night Train to Lisbon was released on Region 1 DVD in the USA on December 17, 2013. Order from Amazon.com now. Jeremy Irons addressed the Irish Georgian Society at The University Club in New York City, on Tuesday 5 November, to discuss his restoration of Kilcoe Castle. Actor Jeremy Irons, wearing Armani, attended Giorgio Armani One Night Only NYC at SuperPier on October 24, 2013 in New York City. 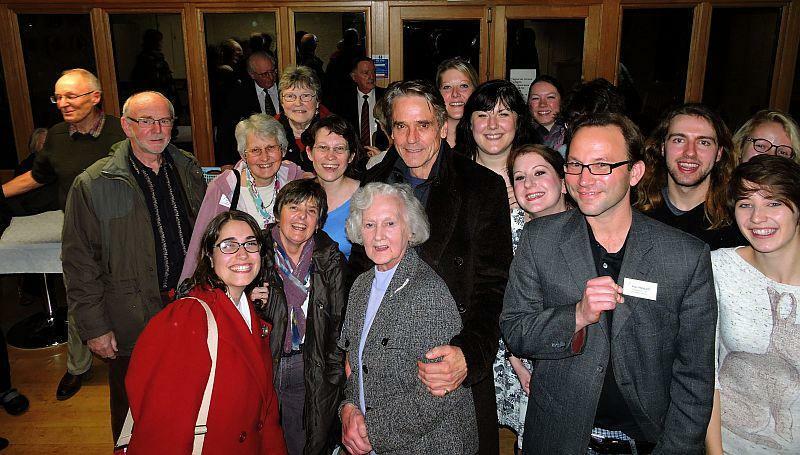 Jeremy Irons attends Chickenshed Theatre Annual Gala at Guildhall on Wednesday 16 October 2013. The Pallisers: 40th Anniversary Edition DVD was released in the USA and Canada (Region 1) on 15 October 2013. UPDATED POST – NEW VIDEO and NEW PHOTOS! 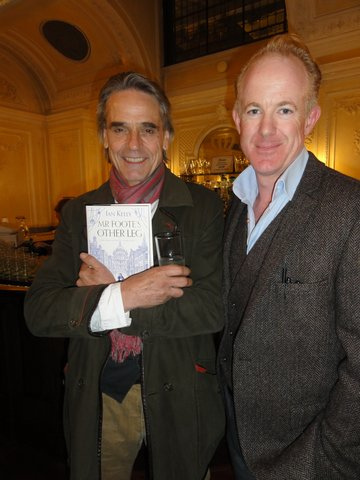 – Jeremy Irons at Whyte Books in Schull, Ireland for the Books Are My Bag launch party on Saturday 14 September 2013. 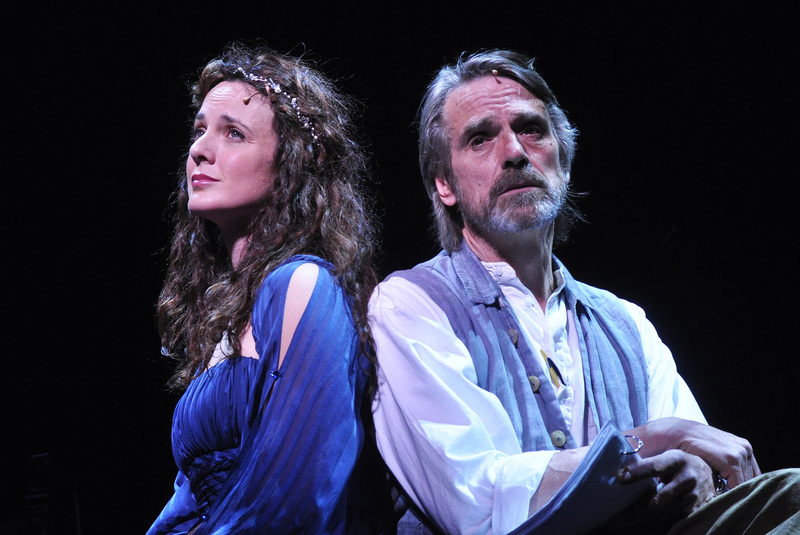 Jeremy Irons’s boat – Willing Lass – © Irish Examiner Ltd. 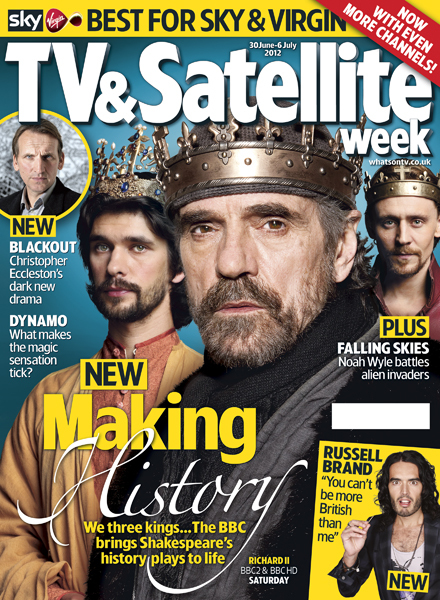 The Hollow Crown: The Complete Series was released in the USA on DVD on September 17, 2013. Click HERE to order. 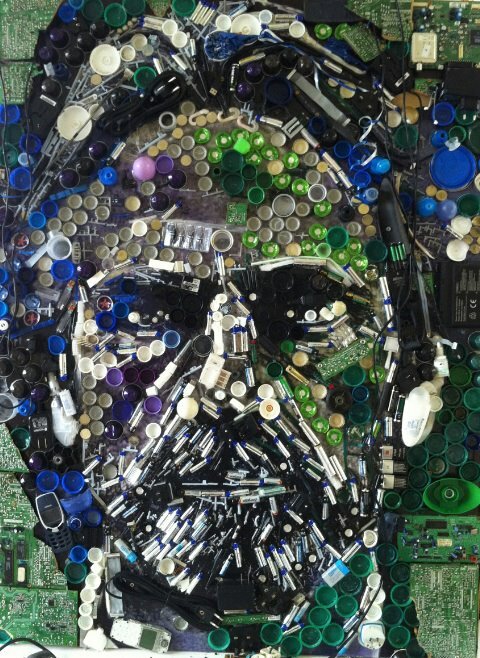 Jeremy Irons was a guest on ITV’s “This Morning” on 9 May, to talk about his film Trashed. See photos and video. Jeremy Irons attended A Walk in the Woods in Rathdrum, Co. Wicklow, Ireland on 28 April 2013. Jeremy Irons attended the New York Times Energy for Tomorrow Conference on Thursday, April 25, 2013. Jeremy Irons attended a screening of Trashed at Florence Gould Hall in New York City, on Wednesday, April 24, 2013 and was interviewed by New York Times columnist David Carr afterwards. Jeremy Irons at The New School for Drama in New York City on Tuesday 5 February, interviewed by Karen Ludwig. 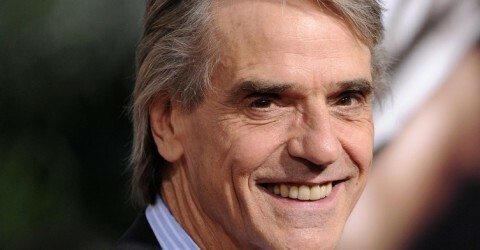 Jeremy Irons answers your questions: The Guardian Film Blog. Jeremy Irons was in the offices at The Guardian on Friday 25 January to respond to questions and comments on The Guardian’s Film Blog. Read them at The Guardian‘s website or HERE. Jeremy Irons appeared on UK morning television on ITV’s Daybreak on 25 January. The programme is available, for those in the UK, to watch online via the ITV player. See an album of photos HERE. A photo of Jeremy from October 26, 2012, with people from BUFE Budapest, who make all of the food eaten and/or shown on screen on The Borgias. Jeremy’s full interview with Tavis Smiley can be seen HERE. The full interview is also available to download for free from the U.S. iTunes store. A photo of Jeremy at The Spotted Cat Music Club in New Orleans via spavalice on Flickr. Jeremy Irons and Neil Jordan attended the IWC and Finch’s Quarterly Review Annual Filmmakers Dinner in Antibes, France on 21 May 2012. Jeremy Irons reads TS Eliot’s The Waste Land on BBC Radio 4 – Friday, March 30, 2012 Full audio HERE. Jeremy Irons at Vaclav Havel Memorial Event – Photos At the remembrance evening for late Czech president Vaclav Havel held in London – Prominent actor Jeremy Irons read excerpts from Havel’s Letters to Olga and his dissident essay The Power of the Powerless. 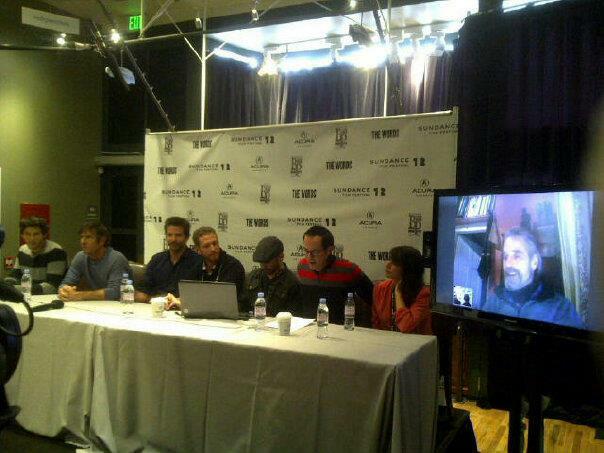 Jeremy Irons via Skype for The Words Press Conference at Sundance Jeremy Irons participated in a press conference for The Wordsat Sundance, via Skype, on Thursday 26 January 2012. Jeremy Irons attends the TCA Winter Press event in Los Angeles – PHOTOS! Twitter Buzz from the TCA 2012 Press Event – read what Jeremy said and comments made about him by reporters who were there. Jeremy Irons interview on Hungarian television (Magyar Televizio – MTV) from 22 December 2011 -screencaps and link to full video! At the Ceremony on the Occasion of World Food Day, on Monday 17 October 2011, Jeremy Irons was named the FAO Goodwill Ambassador. Read more about it HERE. Read the Programme of Ceremony Events HERE. Jeremy Irons attends the Opening Night performance of Juno and the Paycock at the Abbey Theatre in Dublin. 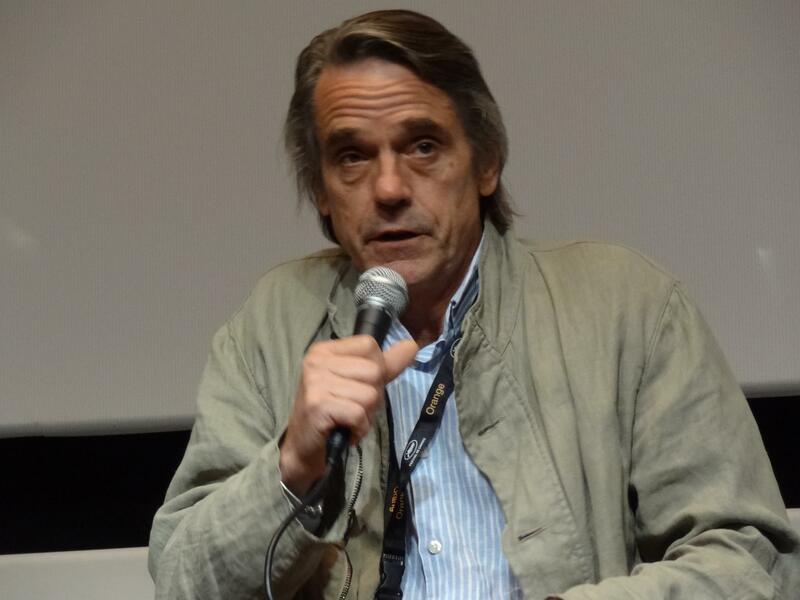 Jeremy Irons at the Zurich Film Festival Photos and VIDEO! Jeremy Irons is using a BMW R1200 GS Adventure Triple Black touring motorbike, while in Hungary filming The Borgias, this year. Check out the full gallery of photos! 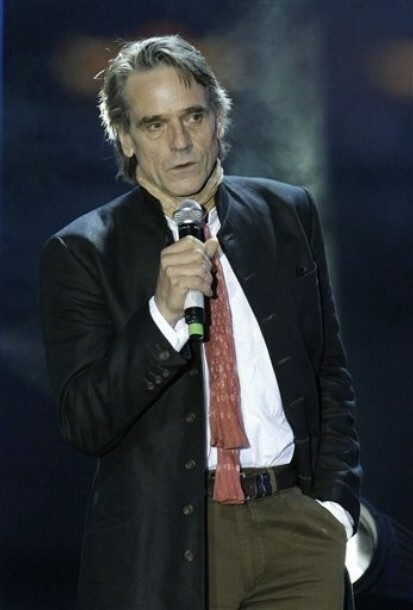 Jeremy Irons attended the Federation Charity Concert in Moscow, Russia on 9 July 2011. In keeping with the setting of The Borgias, two Italian wines have been hand selected and imported for fans of the drama because they exemplify not only the best of Italy, but also demonstrate great value. The varietals, Valpolicella and Soave, are classic Italian wines produced in the Veneto region. Jeremy Irons attended the premiere of The Last Lions at the Clearview Chelsea Cinema in New York City on 17 February 2011. Jeremy Irons attended a performance of Diary of a Madman at BAM, starring Geoffrey Rush, on 16 February 2011. Jeremy Irons read Shakespeare’s “Sonnet 128″ and D.H. Lawrence’s poem “Piano” at Buckingham Palace at the Prince’s Trust Foundation for Children and the Arts Gala on 1 February 2011. 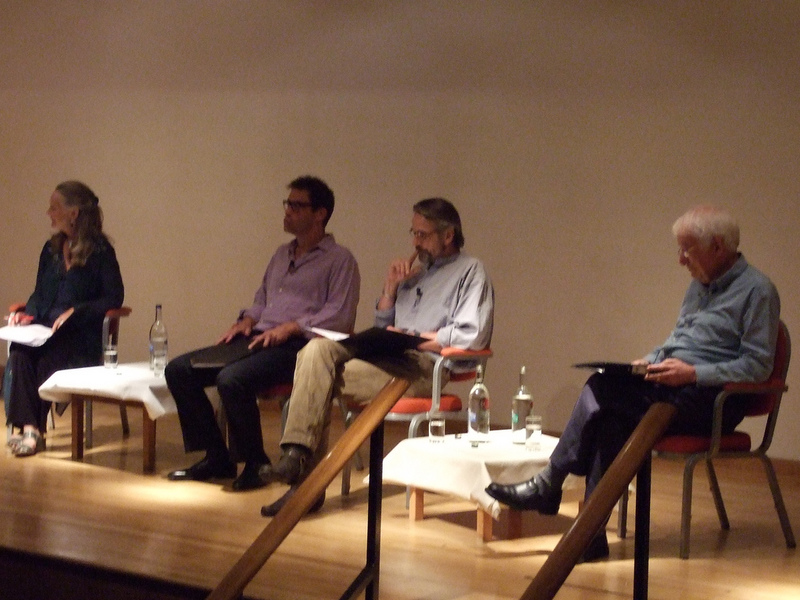 Click on the photo below for more pictures, a review of the evening and full text of what Jeremy read. Sundance Film Festival 2011 – Photos and Video Clips! 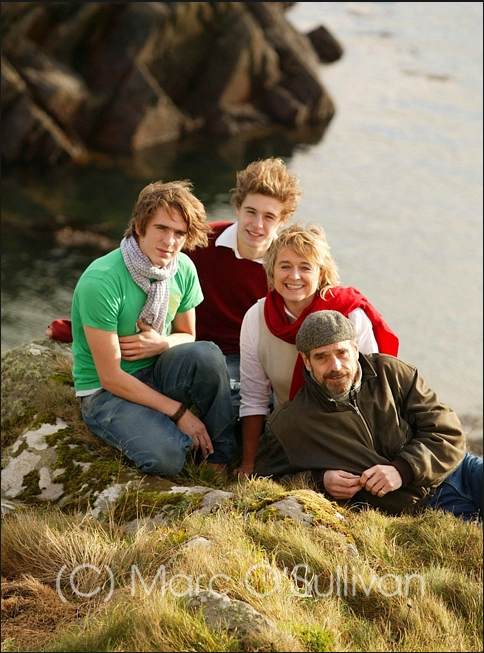 A portrait of Jeremy and his family, taken by Marc O’Sullivan, possibly around 2003. 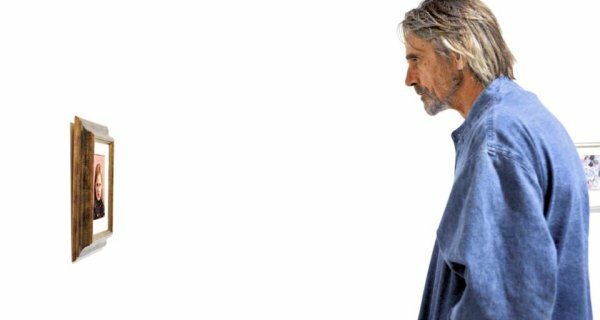 Newly added – Transcript of the interview with Jeremy Irons at the Viaggio nel Cinema Americano as part of the Rome Film Festival 25 May 2010. 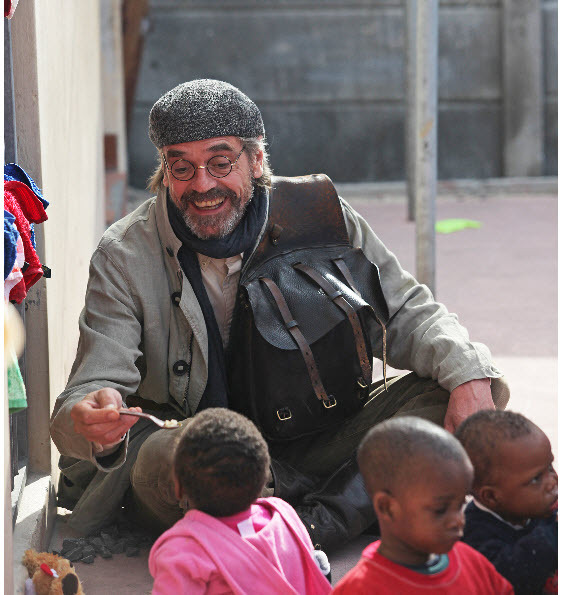 Jeremy Irons is an ambassador of the Prince’s Teaching Institute – one of the Prince’s Trust Charities. 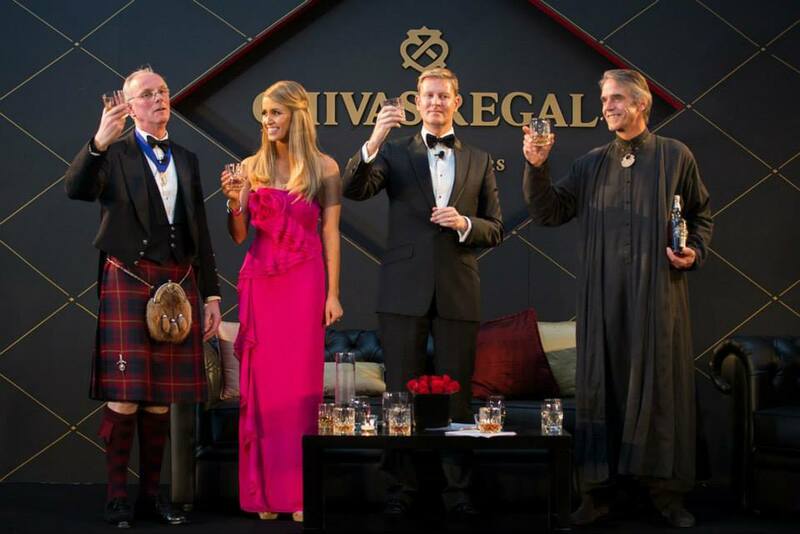 Click here to view another video clip of Jeremy Irons at the NOBU Budapest official opening. Also check out the Vodpod video feed in the right column of this page for more videos of Jeremy at the Nobu Budapest opening. Jeremy Irons attends the official opening of Nobu restaurant in Budapest, October 10, 2010. View more photos HERE. Jeremy Irons attends the Old Vic summer fundraising party at the Battersea Power Station in London – Click here for the photos! 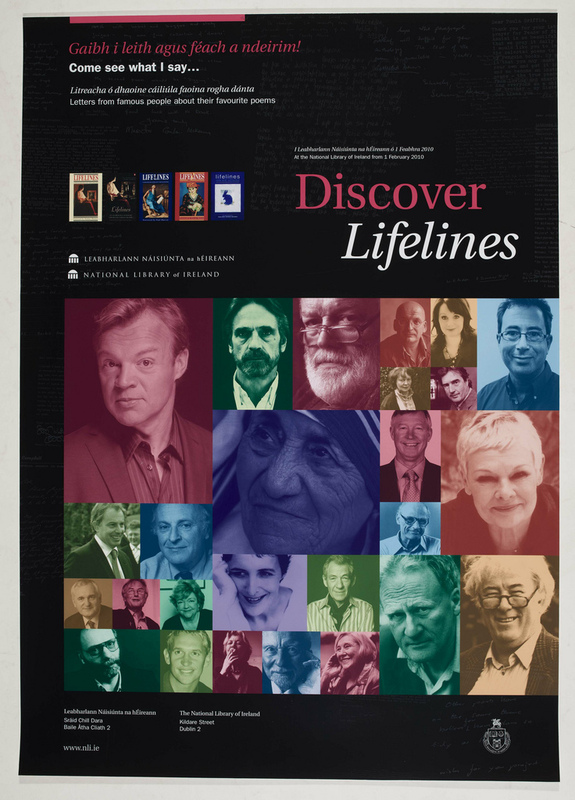 Jeremy Irons attended the 2010 Classical BRIT Awards on 13 May 2010 at the Royal Albert Hall – Revered soprano Dame Kiri Te Kanawa took to the stage to perform and also to collect a Classical BRIT Award for Lifetime Achievement in Music from actor Jeremy Irons. Jeremy Irons, Sinead Cusack and many others have contributed to the Fairy Tales of Oscar Wilde: In Aid of the Royal Theatrical Fund recording. The play text for The Gods Weep can be purchased from the Oberon Books website. 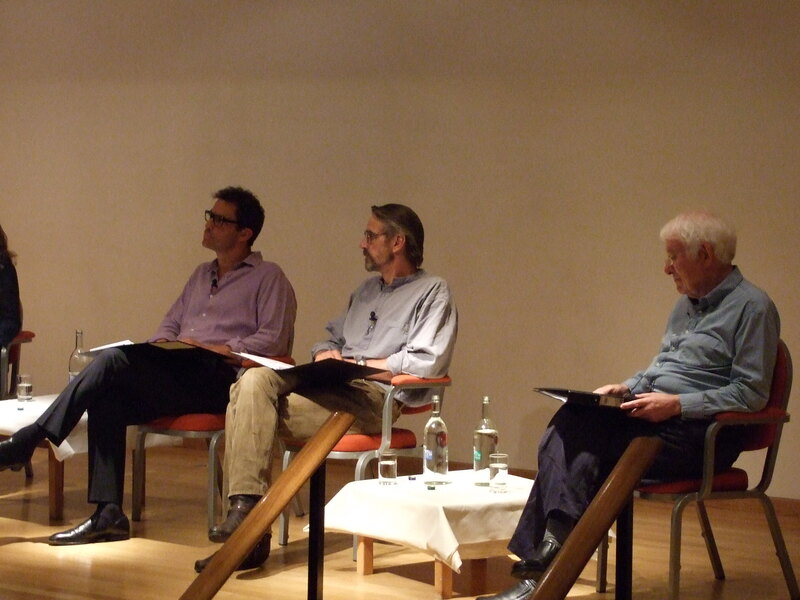 Listen to the Brideshead Revisited Reunion radio programme – now on BBC iPlayer! Full details on Jeremy’s appearances with the New York Philharmonic Jeremy Irons to Narrate New York Philharmonic Concert Event! Dozens of new production photos from ‘The Gods Weep’ ! 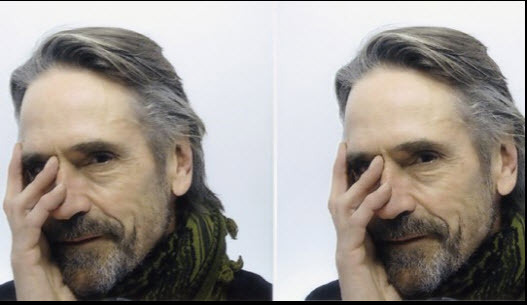 Check out the updated post on Jeremy Irons’s Face Booth photoshoot, including the video and all of his Face Booth images and written comments. Jeremy Irons sighting – On 27 January, Jeremy attended a dinner and charity auction at Buckingham Palace. The event was hosted by Prince Charles on behalf of The Prince’s Trust and in benefit of children in Norfolk. Also in attendance were Brian May and Rod Stewart. Jeremy has contributed to a new CD by Jon Lord. Click here to go to the Jon Lord official website for more about “To Notice Such Things”. Click this link for all photos and videos of Jeremy Irons at the Armistice Day ceremony at Westminster Abbey on 11 November 2009. Jeremy Irons attends opening of Georgia O’Keeffe exhibition at the Whitney Museum of American Art Click on the photo for a huge gallery of photos from the event! NEW VIDEO !!! – Clive James Talks in the Library – with Jeremy Irons Click on the link for a 26-minute interview with Jeremy by Clive James. Jeremy Irons in The Rivals of Sherlock Holmes on DVD Click the link to see a video clip. Jeremy Irons interviewed director Nicholas Hytner for 15 minutes before he introduced Dame Helen Mirren at the National Theatre in London on 25 June 2009, before the performance of her latest play, Phedre, which was broadcast live to movie theater audiences. 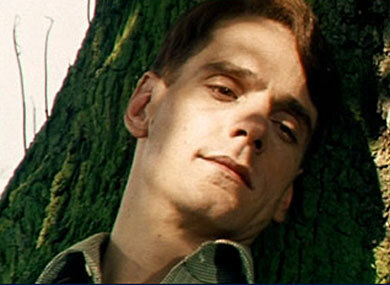 Photo find: Jeremy Irons in “Rear Column” by Simon Gray. Performed February-April 1978 at The Globe Theater, directed by Harold Pinter. Newly found pics of Jeremy and his date, Francesca Bortolotto Possati, at the Costume Institute Gala. Jeremy is in the June 2009 issue of Vanity Fair magazine. Click on the photo for more…. He successfully avoided the red carpet paparazzi, but did get snapped leaving the Carlyle Hotel before the 2009 Costume Institute Gala. Jeremy announces winners of Easter bonnet competition. Jeremy attended the 36th Film Society of Lincoln Center’s Gala Tribute to Tom Hanks at Alice Tully Hall on April 27, 2009 in New York City. Click on the photo to see even more! NEW YORK – APRIL 26: Actor Jeremy Irons and guest attend a screening of ‘In The Loop’ at the IFC Center on April 26, 2009 in New York City. Opening Night and Afterparty Photos! Jeremy attends opening night of Broadway play ‘God of Carnage’ – See photos here! 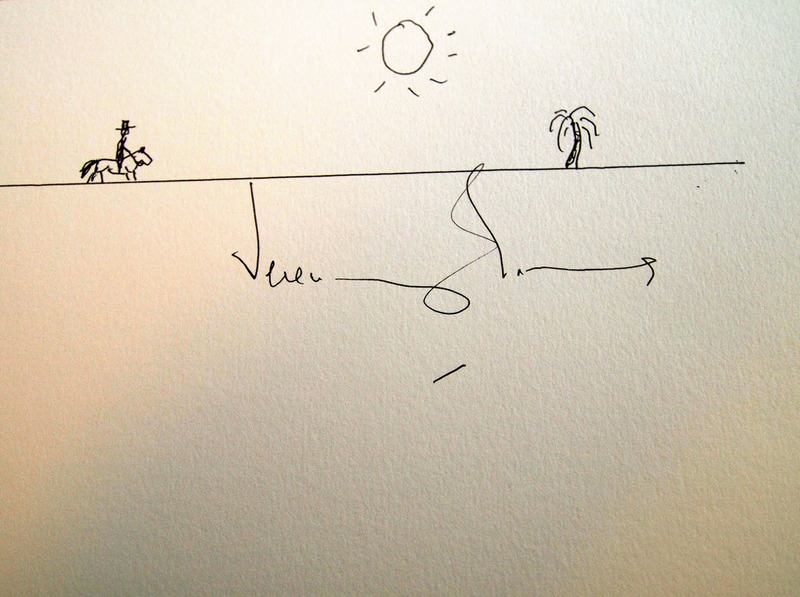 Off-kilter is still Jeremy Irons’ calling A New LA Times article. 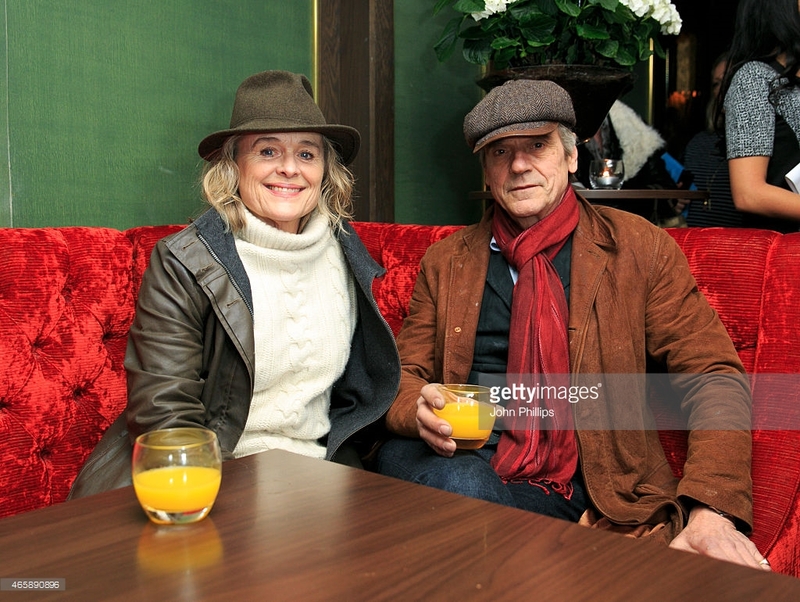 February 17 – Jeremy Irons and the cast of ‘Impressionism’ attend a Meet-and-Greet. See all of the photos here! February 17 – Jeremy attends the Bristol Old Vic/BAM Bridge Project Benefit. See photos here! EXCLUSIVE!!! – New photos of Jeremy at the Santa Fe Film Festival! See them all here! 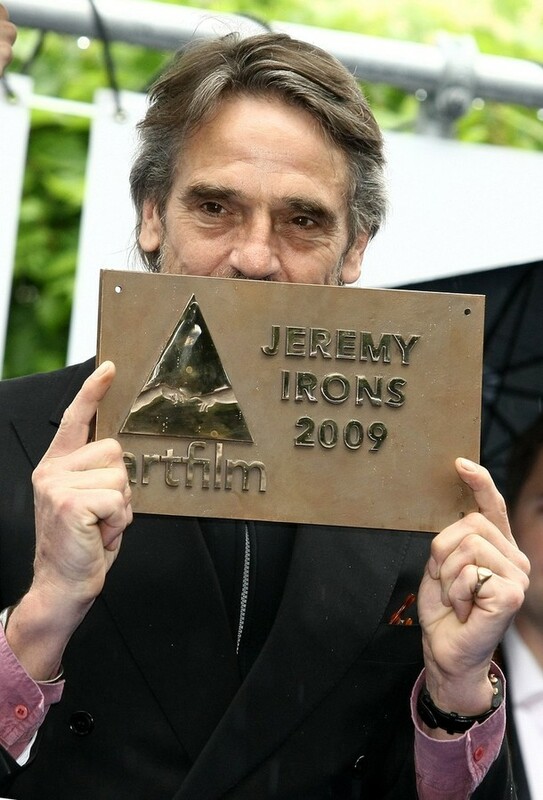 Picking up where www.jeremy-irons.com left off, this website is your source for everything Jeremy Irons from 2005 to the present.